This side dish is a crowd pleaser and ready in no time using the Instant Pot! 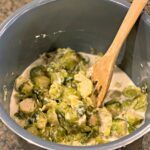 Even if you think you don’t like them, these Creamy Brussel Sprouts will definitely change your mind! Up until about two years ago, I avoided Brussel sprouts like the plague. I have no idea why, but I had convinced myself they were gross. Truth be told, I don’t even know if I had tried them before that point. Perhaps it was the kid in me seeing something “green” and “strange looking”, hence avoiding, haha! 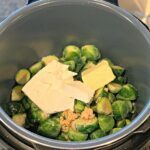 Well, after a friend of mine told me about a dinner he had made and how he had served Brussel sprouts as a side dish, I decided to give it a shot and buy some at my grocery store. I didn’t have high expectations, in fact, I assumed the entire family would agree we didn’t like them. The first version I tried was Parmesan Roasted Brussel Sprouts. To my surprise, my family, kids included, cleared their plates and highly enjoyed them. Even I found myself immediately scanning through Pinterest for inspiration on how to make more variations of the green veggie! Now, almost two years later, we find ourselves eating Brussel sprouts at least twice a month. 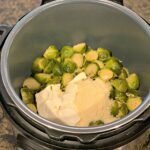 Typically we roast them in the oven (or grill) following the recipe above, however, when the Instant Pot entered my world, I knew I had to come up with a new variety. 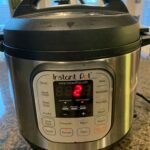 Seriously, I am in LOVE with my Instant Pot. EVERYTHING that comes out of that handy appliance is packed with flavor and cooked in a fraction of the time! Even the Brussel Sprouts only took 2 minutes of cook time before they were done! Incredible, right?! These Brussel Sprouts were incredibly tender, almost melt in your mouth. The creamy sauce that coated these brought them to a whole new level! They compliment any meal and make a great side dish! You can even reheat if you have leftovers, and serve them the next evening! 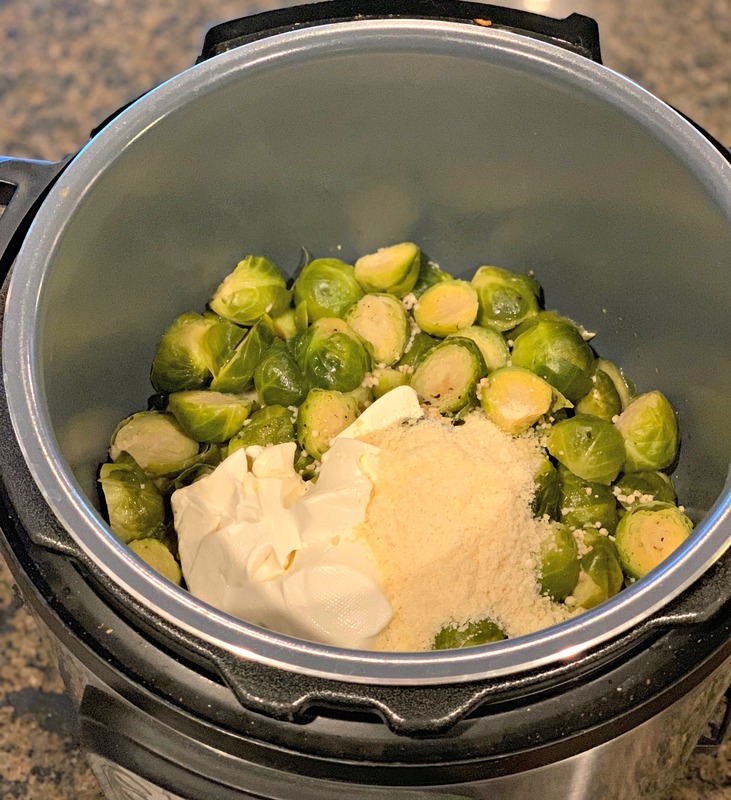 This side dish is a crowd pleaser and ready in no time using the Instant Pot! 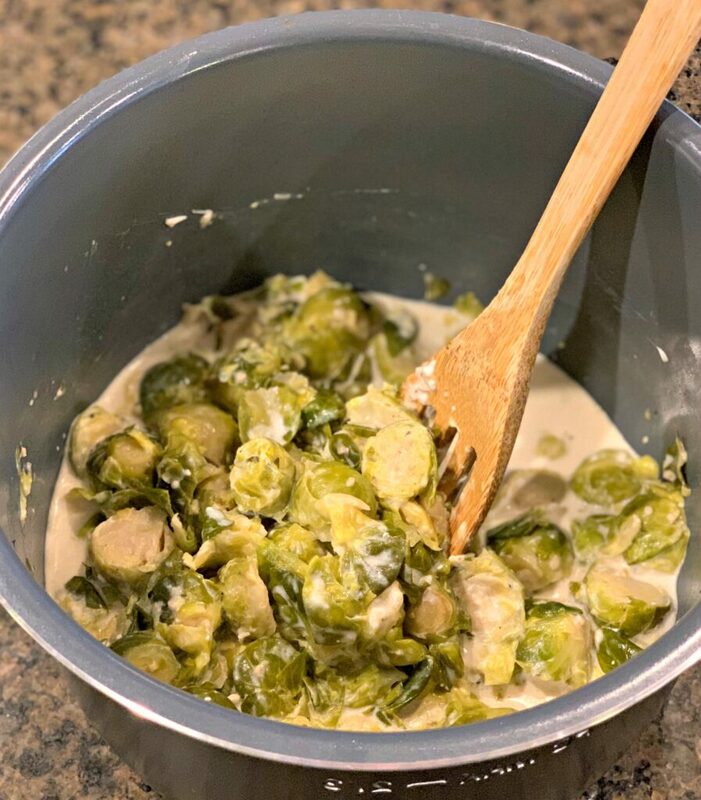 Even if you think you don't like them, these Creamy Brussel Sprouts will definitely change your mind! 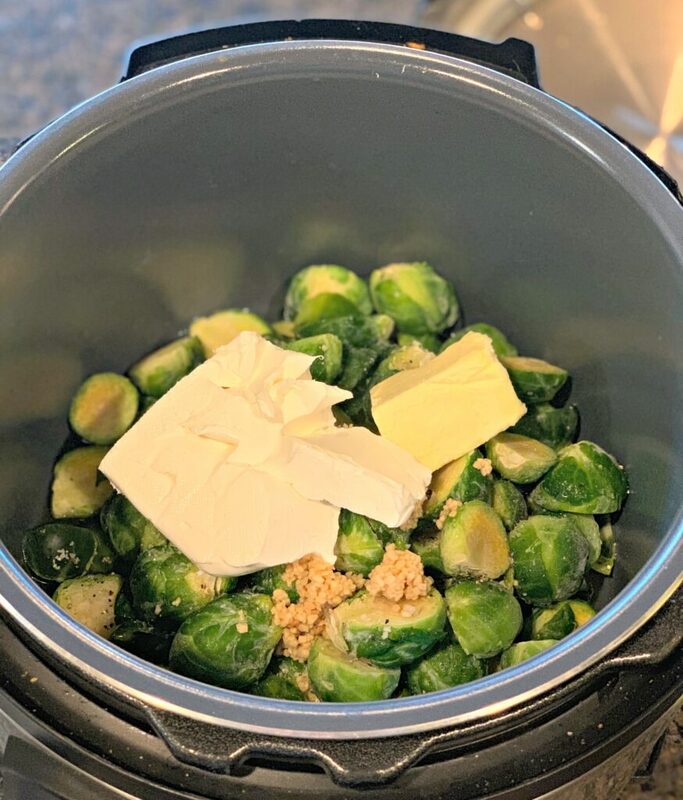 Place Brussel sprouts into Instant Pot and add in the butter, salt/pepper, garlic cloves, water/broth, and cream cheese. Secure lid on top and make sure valve is in sealing position. Cook manual, high pressure, for 2 minutes. Do a quick release and once pin drops, open lid. Add in the Parmesan cheese and stir to full incorporate. Be sure to sign up for my newsletter below!! Hmmm, how about Romano or Asiago? ?